Are you saving too much for your children’s college education? Really. This is an important financial planning question. If it makes you arch an eyebrow, it’s because this side of the issue isn’t part of most higher education conversations. But it should be. So, it makes sense that today’s parents have a natural inclination to contribute more to their kids’ 529 College Savings Plans, not less. Take a friend of mine, for example. He is absolutely convinced that his two-year-old daughter is bound for Harvard. Every month, he contributes a substantial $1300 to her 529 Plan. Is this the most practical path towards saving for college? My answer is no. Setting aside serious money like this for higher education can, over the long haul, lead to paltrier retirement nest eggs and heftier penalties for any leftover 529 funds. More on this later. Our first order of business as parents should be ensuring we have enough money saved for our retirement. This isn’t selfishness – it’s practicality and prudence. Consider two facts. First, banks will lend money for children to go to college, but they won’t lend money to fund retirement. And second, sending our children to even the best schools may seem like a gift, but this gift quickly becomes burdensome if we have to turn to them for financial support during our retirement years. 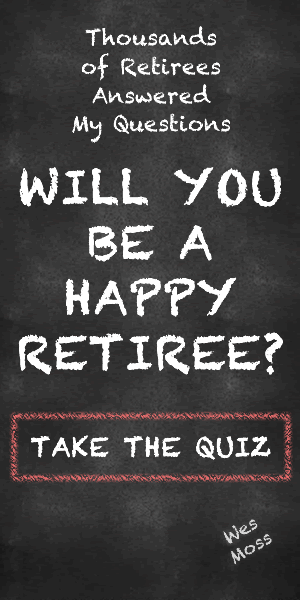 What’s a parent/one-day-retiree to do? Your first order of business is to consider living by the TSL Rule. The abbreviation TSL stands for “Taxes, Savings, Life.” This rule simply states that you should earmark your income in the following way: 30% for taxes; 20% for retirement savings; and 50% for life expenses. Notice that the 20% allocated for savings is specifically for retirement, not all savings endeavors. Any money you contribute into a 529 Plan should come from the life expenses category. Meaning, you don’t short change your retirement share. From there, it’s worth understanding that when it comes to saving for our children’s college expenses, folks fall somewhere on a spectrum. At one extreme, we have the 100% funding of any institution, public or private. On the other end are parents who don’t want to contribute at all, because they paid for their own college education and believe it builds character. Most of us exist somewhere in the middle. I’ve set my goal at saving 60% of what a public university is estimated to cost when my eldest child reaches college age. For my younger child, I am saving 40% of the price. Why? Because life happens, and my children could approach their secondary education in a variety of ways. Perhaps one or both of my children receive scholarships. Perhaps one or both join the military and get the G.I. Bill. And perhaps one or both decide not to go to college at all. If both do decide to go to college, the 60%/40% split is designed to allow a trickle down of leftover funds from my older child’s education to my younger child’s tuition bill. If I come up short, I can always borrow money, dip into other savings, or even use cash flow, because by the time their college-bound my salary will likely have increased. The bottom line is that I don’t want a big surplus in my 529 when my kids receive their degrees. Any leftover money in that account that is withdrawn for a non-educational use is subject to sizable consequences. You will pay both ordinary income tax on the gain plus an additional 10% penalty on the gain. Ouch. People talk about the cost of college tuitions breaking the bank. It doesn’t have to. And perhaps most importantly, we don’t have to break stride in our retirement planning to help fund our children’s education. Done smartly, we can invest in both.